Council soon to receive recommendations about requests from four cities for more land that can be used for housing. Metro is expected to take the next step along its new path for deciding whether to expand the urban growth boundary for more housing today, Aug. 28. That's when Martha Bennett, the elected regional government's chief operating office, is scheduled to release her recommendations on requests from four cities to expand the UGB it administers on their borders. The recommendations should be posted online with other meeting materials for a Sept. 4 work session by the Metro Council by the end of the day. A public hearing on the requests will be scheduled for the fall, and the council will vote on them by the end of the year. 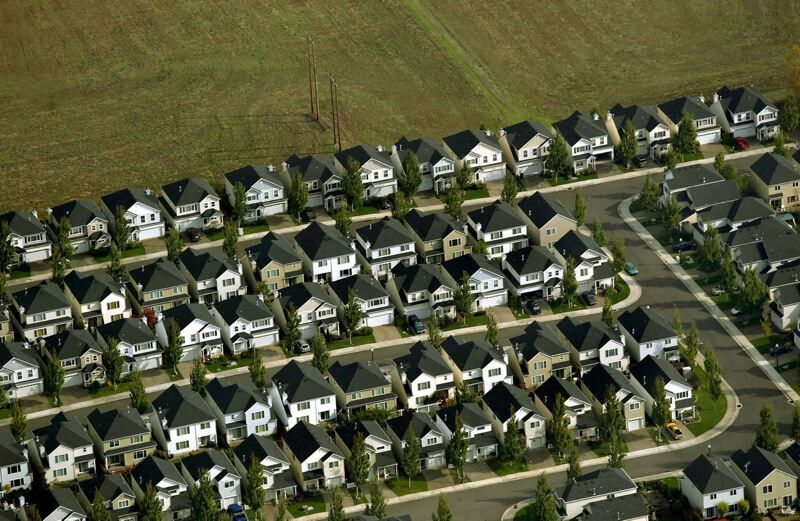 Beaverton, King City, Hillsboro and Wilsonville have asked the council to expand the UGB that determines where new development can occur by 2,200 acres to accommodate 9,200 more housing units. A Metro staff report says the proposed developments could reduce owner-occupied home prices slightly in the Portland area. "If developed, the four proposed UGB expansions would result in modest reductions in housing prices for owner-occupied housing by providing additional housing supply," reads the draft 2018 Urban Growth Report released July 3. Metro staffers recently held discussions with representatives of the four cities about their requests. The discussions follow concerns expressed by the council and an advisory group during a July 17 work session on them. Some council and group members felt the requests did not include a wide enough range of new housing, among other things. The extent of the discussions varied, according to some participants. Wilsonville Planning Director Chris Neamtzu felt upbeat after the lengthy meeting, which also delved into such issues as infrastructure financing. But King City Manager Mike Weston thought Bennett unfairly questioned whether his city could pull off the project. The decision-making process is new for both Metro and the cities. Under state land-use planning laws, Metro must make periodic adjustments to assure a 20-year supply of buildable land within the UGB. Originally, in order to preserve as much farm and forest lands as possible, the council only expanded the boundary onto "marginal" lands, even if they were not suitable for development. As a result, not much housing has been built in some of the previous expansion areas, despite the regional shortage of homes for sale, which is contributing to the affordable housing crisis. The largest request is from Beaverton, which wants to expand onto 1,232 acres in the Cooper Mountain urban reserve area for 3,760 homes. The next-largest request is from King City, which wants to add 528 acres in the Beef Bend South area for 3,300 homes. After that, Wilsonville wants to expand onto 271 acres in the Advance Road (Frog Pond) area for 1,325 homes. And Hillsboro wants to expand onto 150 acres in the Witch Hazel South area for 850 homes. In addition to explaining who will pay for the needed infrastructure improvements, the cities must address such things as whether they have reduced barriers to mixed-use; encouraged walkable development in their downtowns and main streets; and implemented best practices for preserving and increasing the supply and diversity of affordable housing in their existing urban areas. "We need more housing, particularly housing that is affordable to people with modest means," reads the report. "We need a greater variety of housing to match our changing demographics; we need more middle-income jobs; and, we need to do a better job of engaging diverse communities in decision-making.